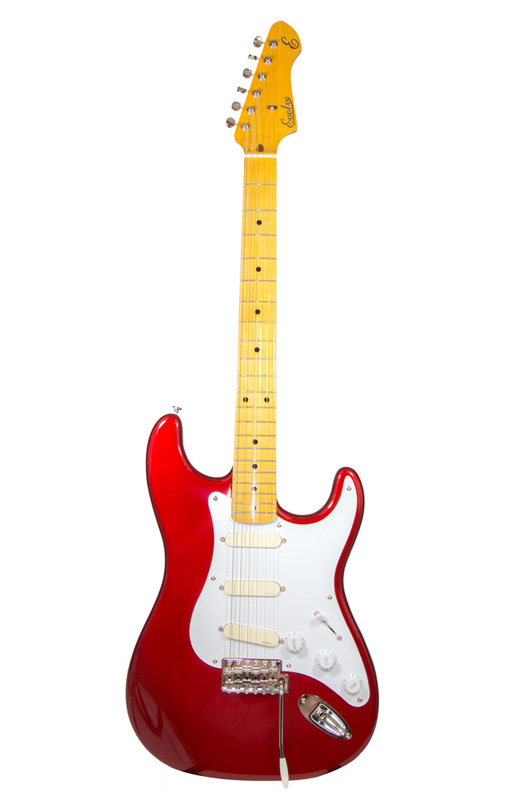 The Pulse is our take on the icon red Strat that was David Gilmour’s main guitar for around twenty years and featured on Pink Floyd albums “A Momentary Lapse Of Reason”, “The Division Bell” as well as David’s solo albums. It was the main guitar on the 80s/90s Pink Floyd tours and associated live albums of that era, our favourite of which is “Pulse”, the CD/DVD of the Division Bell tour. For our money, David’s fluid tone cannot be beaten on these albums, and we’ve done our best to recreate his weapon of choice as far as we can but without breaking the bank. 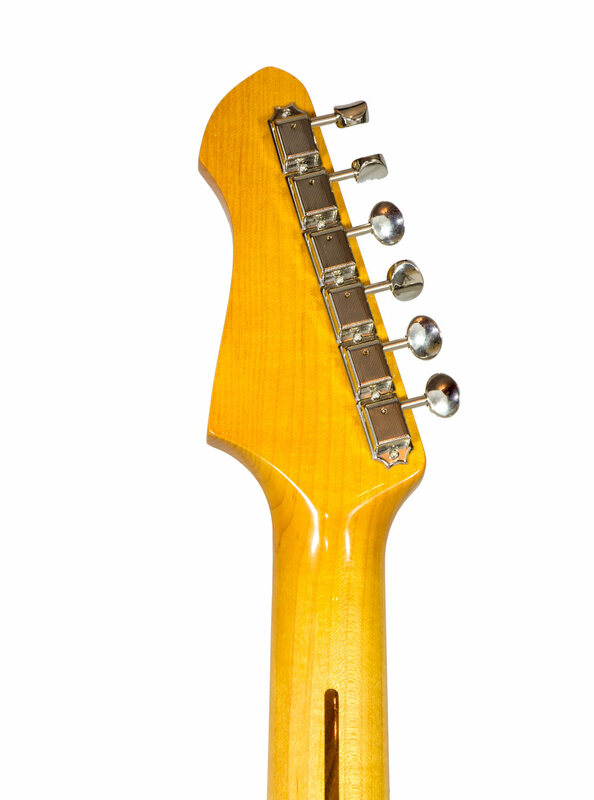 The neck profile, dimensions and vintage frets are based on David’s specification. 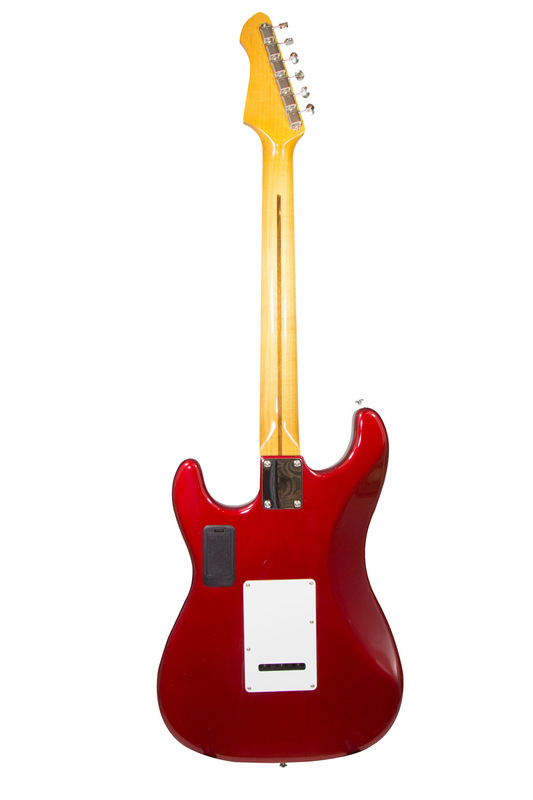 David’s guitar was heavily modified but the original guitar is a Fender reissue from 1983. 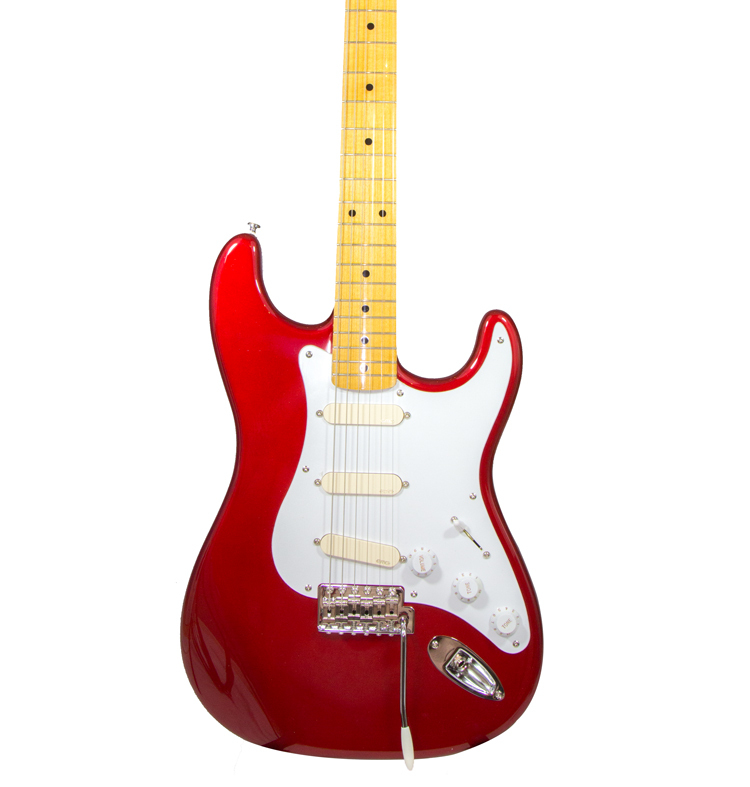 It was one of the first classic reissues that Fender made and based on a 1957 specification. 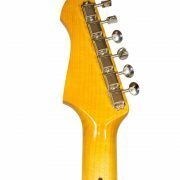 The old school 7.25″ radius is surprisingly comfortable and particularly good for bending, reducing fretting out. 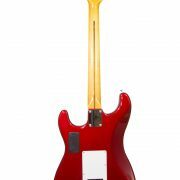 The pickups are the EMG SA active noiseless pickups with EXG and SPC controls that David installed before his performance at Live Aid in 1985. 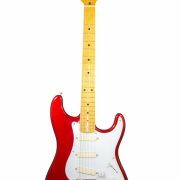 These controls replace the tone controls and in our opinion they are more useful. 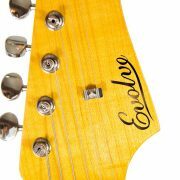 The SPC (Strat Presence Control) is a mids boost that thickens up your tone to more of a humbucker flavour and has also been called a fat control. The EXG (Guitar Expander) boost lows and highs the more the knob is turned and it has a frequency response similar to the equalisation of a guitar amp. Between these two controls and the pickups themselves you can quickly sculpt exactly the tone you want. 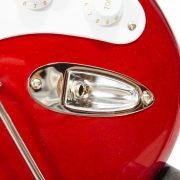 Unlike David’s guitar, we’ve installed a battery compartment on the back as for most the convenience outweighs the departure from authenticity. 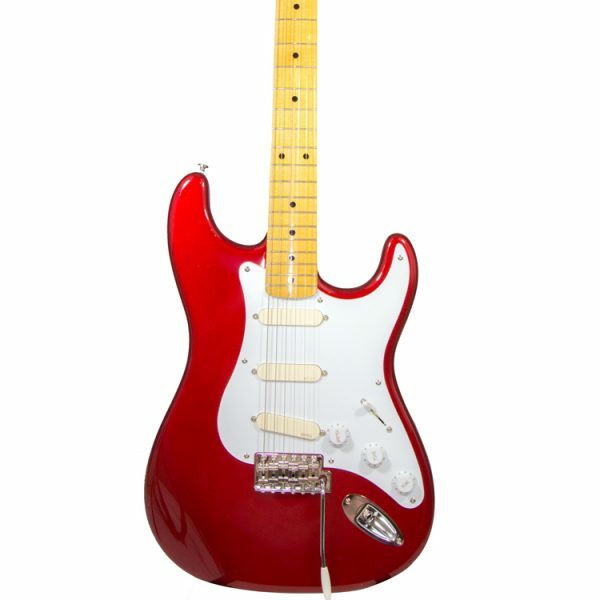 The Pulse’s tremelo arm is the same shorter length that David installs on all his guitars, including the iconic red strat. We’ve also incorporated alterations that David Gilmour’s guitar tech, Phil Taylor made to the spec of the original guitar. 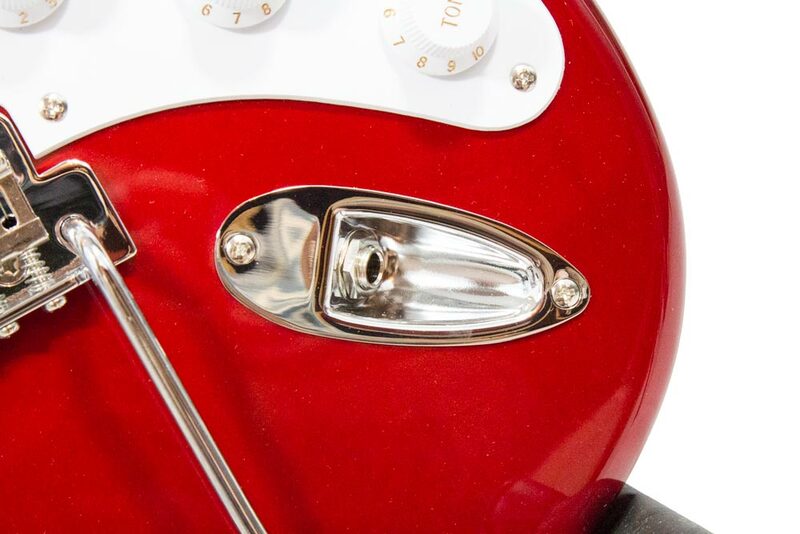 The pickup cavities are 3 to 4mm deeper than the standard Fender 16mm. 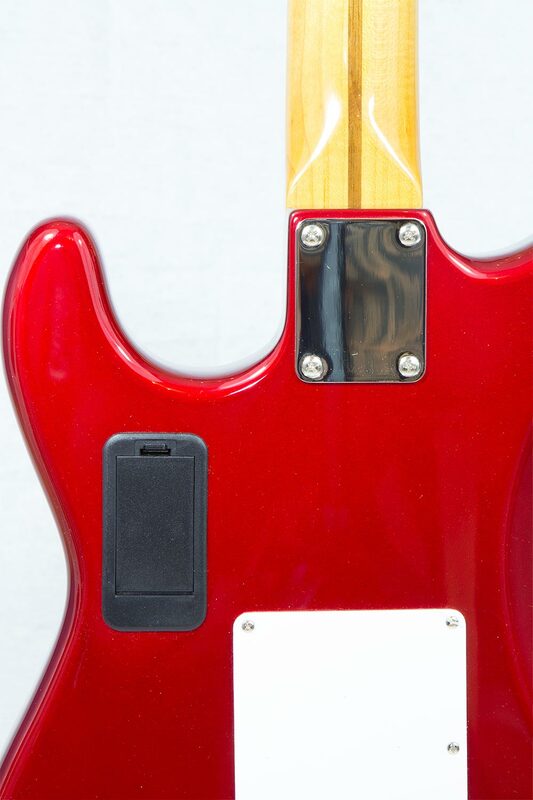 This means the pickups are only 3mm or so over the pickguard. 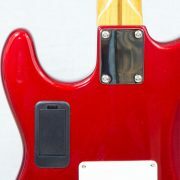 David had this done to slightly tame the EMG pickups and to make the a little more “stratty”. 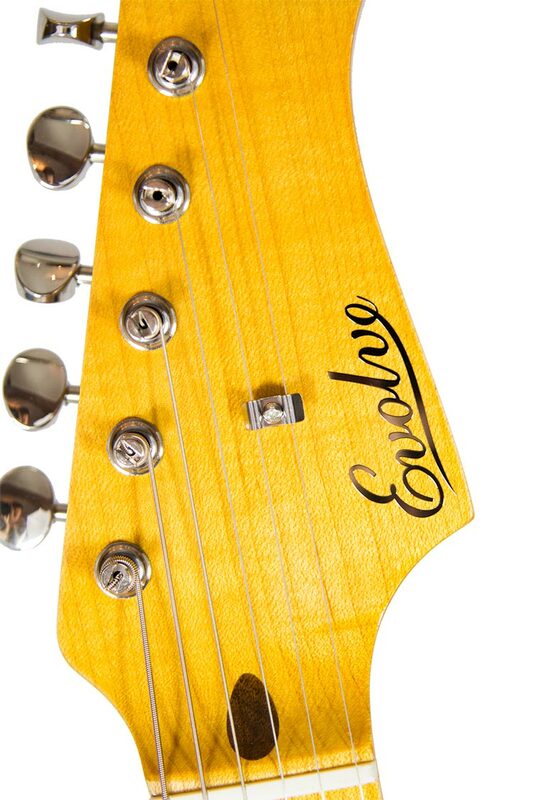 David Gilmour has not endorsed this guitar and he has no association with this model or Evolve Guitars other than inspiring the design and our use of his signature EMG pickups and GHS strings.